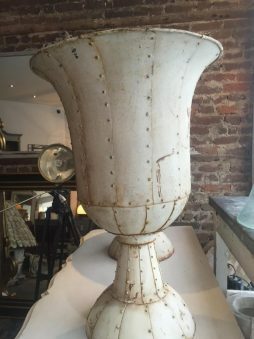 Antique Planters | Interior Boutiques – Antiques for sale and mid century modern furniture, french furniture, antique lighting, retro furniture and danish furniture. 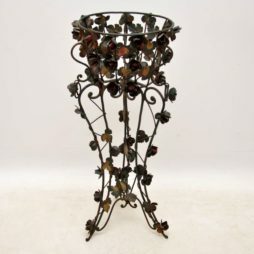 This antique painted wrought iron plant stand has fabulous floral decoration all over & is still in good original condition. The painting too is all original & hasn’t been touched up. It was very dirty when we picked it up & when we cleaned it all the colours came out again. 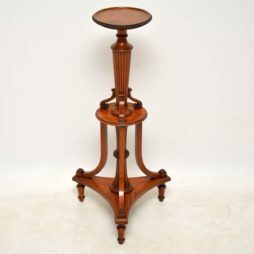 This stand is a very decorative piece & obviously useful too. I’ve never seen anything like it before. 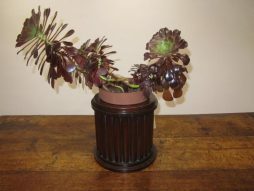 It’s also very difficult to date exactly, but I would say it dates from around the 1910-20’s period. 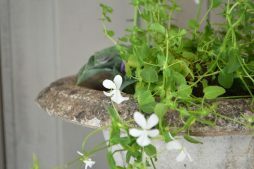 The floral decoration is mainly of flowers & leafs. I’ve had a very good look at this & I can’t see any of them missing. 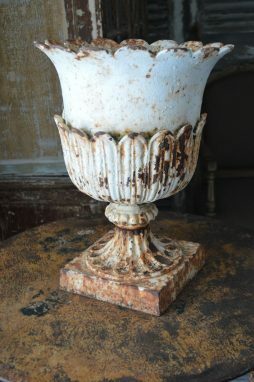 Antique Victorian Satinwood jardiniere with some wonderful details & in good original condition. This is quite an unusual, rare item & not one I have come across before. Please enlarge all the images to see all the fine details. 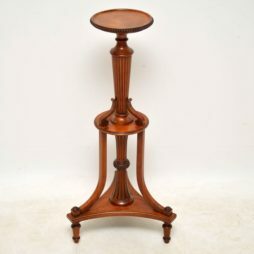 I would date this piece to around the 1890-1900 period. 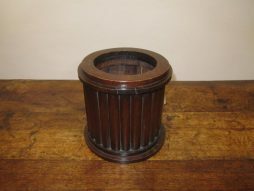 An English 19th Century mahogany planter with a stepped base and tambour ribbed sides could be used as wine cooler with a zinc liner added. 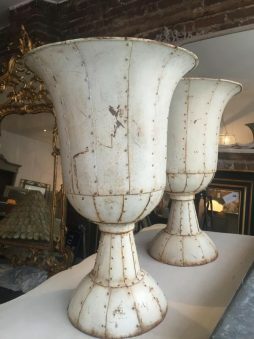 A pair of English Edwardian period cast iron campana shaped urns in old white paint with distressed and weathered patina. 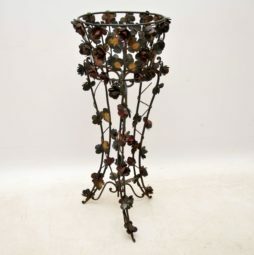 Metal Urns from France Extremely unusual, a rare find. 20th century, can be used indoors or outdoors. 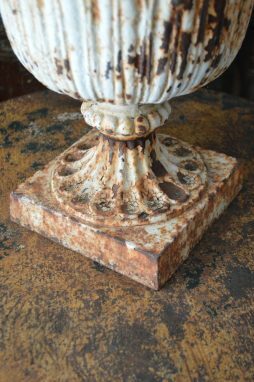 This gorgeous urn has great patina. 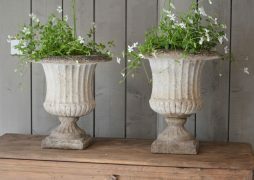 Acanthus leaves decorate the base of this single planter. 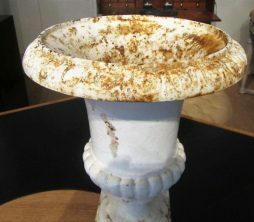 Medium in size which would make it equally suitable for use inside the house or in the garden. 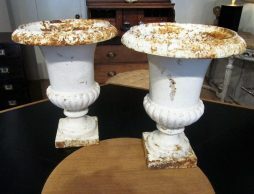 Pair of composite garden urns.